To create an audio recording, there are different options depending on the type of computer you have (PC or Mac). Just make sure the audio file you produce is sharable with all types of platform users; MP3 is the most shareable file type. You'll also need a microphone. Generally, you can purchase a headset with mic from your local store. We use MS LifeChat LX-3000 headsets on campus, and you can borrow one from the library's circulation desk. See a photo of it in the Google Slides on the Tech Resources tab of this LibGuide. One free audio software application that works on both PC and Mac is Audacity. It's easy to use and offers online support. It's a full audio editor, which means you can remove errors with a clipping and/or trimming tool. Audacity is installed on the Faculty Development Center computers in BL112 for your use; otherwise, download it to your computer. Your laptop may have a recording device. For example, PC's have Microsoft's MovieMaker. Mac's have QuickTime Player. Refer to the support pages on those applications for instructions. We have Camtasia Studio installed on the computers in BL112 for your use. This is a full video editor but also has audio-only functionality. To learn more about this software, see the Video Production tab of this LibGuide. For narrated PowerPoint, visit the MS Office product page for guidance and view the attached presentation below. ACCESSIBILITY: Ensure that you provide captions or a text alternative to audio files to meet the needs of person's with hearing disabilities. For example, in your narrated PowerPoints, transcribe the audio as text in the note's section for each slide. To learn more, see this explanation of accessibility for narrated PowerPoints on the Teaching Online Pedagogical Repository. Otherwise, save narrated PowerPoints (.pptx latest version) as MP4 files and upload them to YouTube for automatic captioning. See this example on my YouTube channel. As always, contact us if you need training on how to use these tools or to request a workshop for your students. 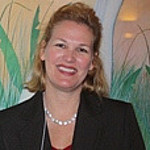 This PowerPoint by Dr. Rogers includes her audio narration to guide you through the tasks of narrating a presentation. Notice that each slide's audio has been transcribed in the notes section.